Born in Kuala Lumpur, Sanjitpaal Singh (Sanjit) is an established Malaysian nature and wildlife photographer. He has been in the field of photography for 15 years and has been rewarded with various awards, amongst them semifinalist for BBC-Shell Wildlife Photographer of the Year Award in 2006 & 2007 (UK), and receiving the ‘Malaysian One Earth Award’ in 2009 (Malaysia), Semi-Finalists for Veolia Environment Wildlife Photographer of the Year 2011 (UK) and Runner up for International Photography Awards, Professional Category (Nature/Trees), September 2012 (US). He has also received numerous accreditations working together with environmental NGOs, advertising agencies, magazines and daily press. 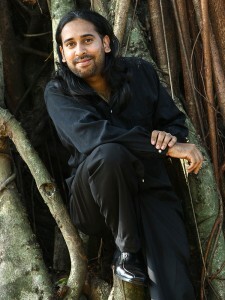 Apart from his wildlife works, Sanjit is the owner of fullcirclepix.com supplying photography services in events and creative assignments for Senses of Malaysia Magazine in which his front cover image has won the Malaysia Tourism award for the best travel lifestyle magazine in the year 2011/2012. He is also a contributor to The Expat Group and Open Media working on Malaysian images to be published in Essential Kuala Lumpur, Algarve, London, Portugal, Macau, and Hong Kong. A sort after photographer for corporate, social events and mainly editorial style images – some of his clientele include General Electric International Inc., BMW, Mercedes Benz, Audi, BRDB, Mulpha International, Spectrum Worldwide and NAAM Adventure. His love of photography has gained him support various photographic brands and supporting photographic products. He also conducts workshops and seminars and has judged photo competitions in Malaysia and Singapore. Sanjit also contributes to DSLR and a columnist for Aperture magazine from 2010 – 2015. Feature exhibition on 10 Malaysian Hornbill species at Chester Zoo, UK, August 2018. Published photography works in the Sarawak Forestry 2015 Calendar. Presenter for Olympus Malaysia on ‘Journeys and Discoveries’ – Kuala Lumpur Photography Festival (KLPF) – 21st September 2014 @ main stage – Mid Valley Megamall, Kuala Lumpur. Presenter for Datacolor ‘Life in Colours – Kuala Lumpur Photography Festival (KLPF) – 20th September 2014 @ main stage – Mid Valley Megamall, Kuala Lumpur. Conducted Wildlife Photography workshop (Mount Kinabalu, Kundasang – Sabah) 15th – 16th March 2014. Presenter for Datacolor – Kuala Lumpur Photography Festival (KLPF)- 12th October 2013 @ Mid Valley Megamall, Kuala Lumpur. Guest speaker – Behind The Lens (20th Edition) 9th October 2013 @ Eng Tong, Kota Damansara. Co-Author of ‘The breeding biology of the Great Hornbill, Rhinoceros Hornbill and Helmeted Hornbill in Temengor Forest Reserve, Perak, Malaysia’ scientific paper presented in Makati, Philippines in April 2013 for the 6th International Hornbill Conference (April 2013). Organized and conducted ‘Athena Carey’ (long exposure photographer & IPA 2012 winner from Geneva) Photowalk at Batu Dam on 24th March 2013 (Sponsored by Xume Filters and Smugmug from USA and Fuji lm and RDT prints from Malaysia). Conductor, Speaker and Facilitator for ‘The World Through our Eyes’ (orphans photographic education outing) on 3rd February and 2nd March 2013. Featured live interview on Capital FM (88.9FM) on Malaysian Nature & Wildlife photography + Making Connections School Photography Workshop –29 November 2012. Photography talk entitled ‘Faces of Nature’ for the MNS photo group (Selangor Branch) – 28 November 2012. Conducted ‘Making connections’ School Photography workshop (FRIM) May 2012. Operations Manager and head judge for ENSEARCH (Naturally Malaysia) National Photography Competition (02 July 2011). Head Judge, facilitator & presenter for the Putrajaya Wetland Biodiversity Photography Competition (insects), February 2011. Presenter and Head Judge for Putrajaya Floria Photography Competition, July 2010. Head Judge for the Expat Expo, International School Photography Competition, March 2010, (Singapore). Head Judge for the Putrajaya Wetland Biodiversity Photography Competition, February 2010. Exhibition on Chengal for Plante ‘et Planete’ – Paris, France, January 2010.